So after crying for days, something in my heart told me to try to look for Willow's daughter Gabriella* once more. She was the only one of Willow's four foals that none of us could find when we searched many months ago. Many people (including Nancy) have suggested that if at all possible, it would be lovely for me to have one of Willow's offspring; and Nancy said that Gabriella in particular was so very much like Willow. (*name changed for reasons to be revealed later). When I searched for Gabriella last year, I could only find one sales listing for her. She was listed for sale on the site of a Friesian breeder in Texas. When I called them, they said she had been sold but they wouldn't give me any more information. They said they sold her because they had failed at breeding her (that she was infertile). So I googled and googled some more... and I actually found another ad for her on a different site! I was so happy to see that she might actually be for sale right now... but when I called the number listed on the site, the message said the owner was out of the country and to email her (which I did). The page I found looked like a basic information page on Gabriella... so to make sure, I clicked on "Friesians for sale." That page had many listings, and about half of them were marked as "sold". I did not, however, see Gabriella listed on the page at all. It was strange.... she had a page on the site (including a sales price), but wasn't listed on the sales page as "for sale" or "sold". So I looked again... .this time when I looked I noticed that each horse listed seemed to be in a different state... CA, NY, TX, etc. While trying to figure out why, I noticed the name of one of the horses listed for sale... her name was Mirabella. I guess it stuck out to me for a few reasons... mainly that I love the name... and it was actually on my final list of names for Willow. Mirabella means "Beauty" which is mostly what I called Willow when we were together... But I think in the end, I thought Mirabella was too close to my business name (Florabella), and I thought Willow was a better fit for my sweet girl. In any case, right under Mirabella's name was her state... Tennessee. And she was the only horse listed in TN... The ad said she was a filly... just 10 months old, and listed the contact information. 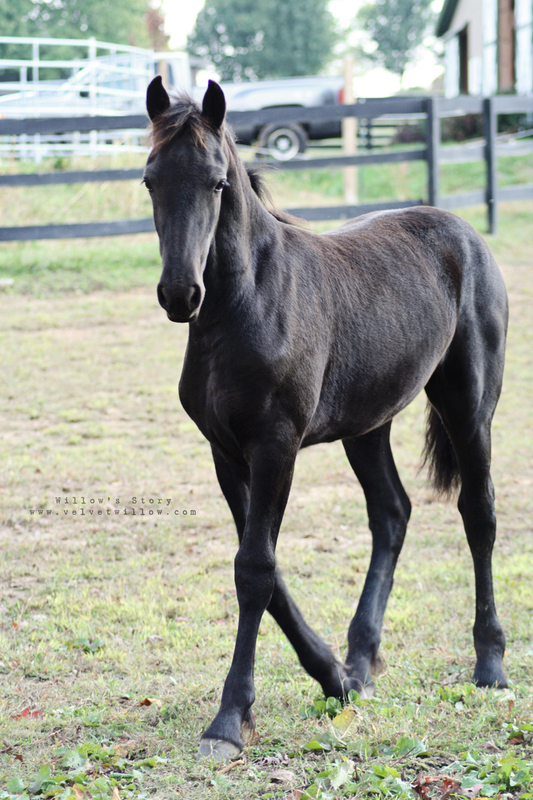 I looked at the tiny photo and wondered what Willow must have looked like as a filly... and then I started to cry. When I called, a kind woman named Alise answered the phone. I quickly explained that I had seen Mirabella's ad on this other site but that I was actually interested in Gabriella, and I asked her if she knew when the other breeder would be back in the country. She explained that the woman was moving out of the country and had been listing Friesians for other breeders... and that likely, Gabriella had already been sold. (I later got an email from the woman explaining that Gabriella had indeed been sold and that the listing was related to the original listing I'd found.). Alise then suggested I take a look at Mirabella, but I quickly explained that I wasn't looking for just any horse.. and certainly not a filly. I was looking for Willow's daughter. And not thirty seconds later, I was in tears telling Alise my whole story. She listened, and we talked for a long while... she took a look at my blog and told me that she thought Mirabella looked like Willow. Then I looked at the photos of Mirabella on her site, and I have to say... I agree. She does look like Willow... and from what Alise told me, she was sweet and gentle like Willow too. Maybe we should go out to see Mirabella? No, that's crazy... and it's too soon.. it's too soon.... But I told Alise I would mention it to Martha and Michael. I texted Martha the link... "Martha, look what I found when I was searching for Gabriella... isn't she sweet? It's just too soon, but it's kinda strange how I found her... and by the way, there are no Friesians listed for sale in Tennessee right now if you search. I only found her because I was looking for Gabriella." "I know it's too soon, but I like the way you are thinking about the future. And I do like what this baby represents... new life, health, restoration, and rebirth. It's a beautiful thing. Willow is experiencing all of that in Heaven right now and probably wanted you to see a piece of that here on earth. Don't feel bad for finding her... think of it as one more gift from God to you." I was surprised, but of course, I loved what Martha wrote... and I started to think that maybe, just maybe, we should really go and see Mirabella. That maybe Willow led me to her... and that she would want me to have this gift. So I mentioned it to Michael, and again I was surprised. He wanted to go see her. The next morning I asked Martha if she wanted to go with us to see Mirabella. It was a 2 1/2 hour drive. She seemed shocked that we were going... she told me we were crazy to get a filly. "But what about that text you sent me?? You know, about this being a gift from God... and Willow?" And then she explained that just finding her and seeing her photos was what she meant by that... that I was meant to see how Willow looked in Heaven... and that should comfort me. So we discussed the pros and cons of raising a young horse... and by the time I got off the phone, I was completely talked out of it. And Michael looked at me with a smile... "Looks like someone is getting a new horse this weekend." This little girl is a big time miracle. Incredible story, and it has truly just begun. Oh my you remind me of myself! I lost my first road companion (show horse) this December and I did extensive research finding his siblings and found his sister - a near twin! Seeing how he was a speckled rose grey roan, I was shocked when I saw her pictures. I have a baby horse due this week who will be the niece or nephew of one of my other horses. His full sister is ready to pop! It's not the same... but, man do I feel it is my responsibility to keep all of their wonderful characteristics as a part of our world. Welcome to the family cousin! TEARS!!!!!!!!!! thats all I can say...wow. What an amazing story. Truly. She is gorgeous...and has Willow's blood in her. That is awesome. whoa! Your posts have been giving me the chills. And I don't say this to be insensitive but seriously while reading this post I felt like I am reading a book not about your real life. It is such a wonderful story. This is amazing. What a phenomenal beginning to your next chapter. I love to see how God works. Congratulations to you. Enjoy her! She is beautiful! An amazing story! Now you have me in tears! I love this, love that she found you and love that Willow will continue to live and bless your family through her. Now, about her name being too close to Florabella, how about calling her Mira. I believe it means miracle which feels a bit like what is going on here. Can't wait to see your pictures of your sweet new baby. Thank you for sharing your story and your heart. That is one lucky horse. You have the kindest spirit. This is such a beautiful story! Good things come to good people! She is just perfect! Oh my goodness! What a story! How amazing and wonderful for all of you. There was definitely some divine intervention involved here! I am so very very VERY glad that you have managed to find this little beauty...just what you need to help you heal. Now you have a part of your Willow with you....just....YAY!!! You are so awesome and inspiring... I love how you keep Willow's Legacy Alive! I know it is hard to loose someone you love so much... I only wish I could get the signs you do. I look forward to your stories . Keep them coming! Gorgeous Philly By The Way! Love has no boundaries that's for sure. Incredible. What a beautiful gift from above. Oh my gosh, oh my gosh, oh my gosh! I'm shaking right now with excitement for you!! What an amazing blessing! Willow lives on!!! Oh Shana, I am overjoyed for you. You just absolutely made my day!! We love each other. He comes to meet my car every afternoon when I come home from work, nickering the entire way to the fence. He doesn't really allow anyone else to ride him without a struggle, but he will let me do most anything. And he will do most anything I ask of him. He is my once in a lifetime horse. Good luck! I am happy for you! Perfect! She is so pretty! God sure does work in mysterious ways, I'm so happy that you get to keep a piece of Willow with you and I hope that you continue to share your experiences with Miss Mirabella, she is Beautiful!!! She's beautiful, and how wonderful! Will you keep her name? My family is so happy for you my dear. I really look forward to the future and your adventures with your new family member. What a blessing. Amazing how God hears our prayers. There were thousands who cried and grieved with you and now we are all once again enthralled with the rebirth of a new generation. Please keep up posted and please share your talents. What an amazing young lady you are. God Bless. I had goosebumps at first and I now have tears of joy for you. God bless you, Willow, Mirabella and your family. Oh my! What a beautiful, serendipitous turn of events. I am so happy for you. Tears of joy this go around for you Shana. I truly feel that God gives us the desires of our heart...sometimes it's sooner rather than later. I'm so thrilled He choose to give it to you sooner! Mirabella is a true gift to sooth your broken heart. Willow HAD to have a hand(er, hoof) in this! I can not WAIT to continue to read your beautiful post about your sweet "babies". What a sweet miracle you've been given...and you so deserve it! Blessings for you and your family on your new arrival! I'm so excited for you all! Because of your love for Willow, she has led you to a love for Mirabella...God , the Angels and surely Willow are watching over you and holding you tonight! Hugs sweet lady! Oh how the Lord works in such mysterious ways...So very happy for you & your family to bring this sweet little one home with you! It is meant to be. And so, it will be. Hurray!!! I love this story....I just know that when Mirabella lowered her head to your chest Willow was indeed a part of that. Of course she was! YAY Shana! This is so exciting! Here I go crying again! What a beautiful way you found Mirabella. So happy for you and your family. She's a sweet horse, can't wait to see a photo of her in your pasture tomorrow! OMG - I'm SO excited for you. Mirabella is beautiful and does look like a young Willow. Her eyes are just gorgeous! Your miracles continue with this gift of a new generation from Willow. I'm sure your queen is looking down proudly at you and Mirabella - she certainly did a miraculous job bring you together. Best of luck and I'm looking forward to wonderful updates as this young lady meets the rest of her new family. Thank you for sharing this heart warming chapter - and I hope Mirabella helps to heal your heart as you see Willow each time you look into her eyes! Oh my goodness, raising a baby is the most gratifying and beautiful experience as you can raise them!!! Willow will be so happy for you...and she's gorgeous! :) All things happen by the grace of God. I have raised three horses from babies...and they are so much apart of who you are, it's an amazing feeling! She is beautiful......can't wait to see more pictures. Oh my GOODNESS! Glad I decided not to put makeup on before reading your post. Mirabella is beautiful Shana. I am so happy for you! Bawling my eyes out!!!! I'm so happy and excited for you. Can't wait to hear the adventures of your new Prince and Princess. That is an amazing Blessing! It brings tears of joy to see you find a piece of Willow. This is so wonderful, and what a miracle! I am so happy for all of you! I knew things had to get better, that Willow's story couldn't end! This is such a beautiful story and I am so happy that you are going to get this beauty!!!! So many amazing signs and blessings along this journey for you. I know that this does not take away the pain of losing your Willow, but at least a piece of her legacy will live on with you and your family through Mirabella! Congratulations and I cannot wait to see more photos of your new baby! This entire story is amazing. It has really captured my heart. Every time I read your blog I cry but this time it is happy tears. I am so happy for you and look forward to continuing to follow your journey. It is amazing. beautiful.....tears again, only happy ones, for you. It's here, it's here, it's finally here!! New day, new beginning... new life. I have no doubt but that Willow had a hand in this; the odds of you finding this perfect baby girl were too remote otherwise. I am so, SO happy for you and Mira, and I can just imagine Willow looking down and racing around Heaven with joy! Oh! I'm so happy to be crying tears of joy for you! My heart aches and swells for you! I've been following your story, and as a horse lover and owner I know the pain of your loss. I am so happy that it was God's plan to lead you to this filly and I hope that she will heal you, and make you laugh. I can't wait to see a picture of the two of you together. What a story and what a gift from Willow. It is never too early for another one. This is your calling to care for these horses and so much more special that it looks like Willow. 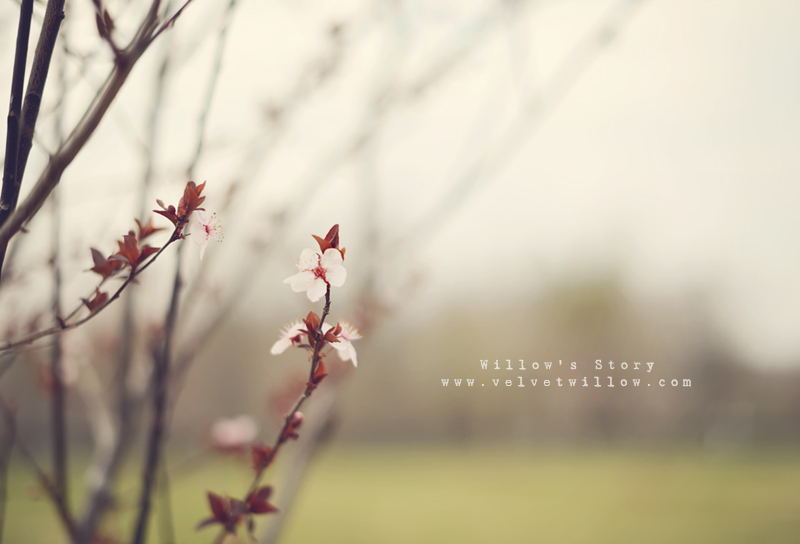 Willow's story never ended;it is just beginning. Truly meant to be. She's beautiful. Oh beautiful! It was meant to be, Willow's final gift to you. The only fresian for sale in TN AND a cousin of Willow - a coincidence? I think NOT! Love - Love - Love this story! How lucky is this filly to go to a home with so much love! I am so looking forward to reading about your new journey and seeing your beautiful pictures. I hope that the name of your blog stays as Velvet Willow because she was and is the inspiration for this new love story. Thanks for sharing, Shana! The more I was reading this story, the faster my heart was beating! I am so happy for you and this perfect gift from God~ there's just no other way to explain that! I look forward to the continuation of your blog posting, because I feel like Mirabella is a gift for all of us that have been on this journey with you. God has truly blessed your family with your kind hearts! Oh, my goodness, Shana! I saw a photo of this beautiful girl two days after you posted the sad news about Willow, and I thought she looked remarkably like Willow. (I was so sad for you and was just looking at photos of Fresians.) I know nothing about horses, so I didn't think anything beyond the fact that there was a resemblance. I didn't realize the connection! I love how unexpected, wonderful things happen to us, and I'm thrilled that this little surprise was tossed to you! I can't wait to see more of Mirabella and will be waiting impatiently for more information about another rescue. Congratulations on the new addition to your farm! Oh my goodness this is the update I've been waiting for! I'm crying happy tears with everyone else. What a beautiful way to continue Willow's story. I'm thrilled for all of you and Mirabella, who is in fact a beauty. :) God is good... always. I am dying!!!!!! This is so incredible!!! I have chills from my toes to the top of my head. I am so happy for you. God is so great!! My beautiful dog taught me that God meant it for good. This Martha gal...she sounds like a blessing. I can't wait to see your updates. She's so beautiful, with such a sweet, soft eye. Love and Blessings. I'm so happy for you as I sit here with tears in my eye's. I do believe Willow has sent you this sweet girl and cousin no less to help you move on with her loss. I don't understand why things happen the way they do, but they seem to have a purpose that maybe will explain itself later down the road. I do hope you will continue your blog now with your new love, I would feel lost and have since Willow has passed not hearing from you and seeing your beautiful picture's. I had a filly growing up and we had the most wonderful time learning together as we grew (I was 12) and I'm sure the two of you will make wonderful memories together. You are so blessed. I am so excited for you and to see this little filly grow through your beautiful photography. I hope you continue to tell us the story of Mirabella and your rescue...I'm so happy for you! God is Good! He & Willow are showering you & your Family with many Blessings! Enjoy! So happy for you! Willow is smiling down on all of you and galloping around heaven. Can't wait to see pics of the new baby! Congratulations! YAY!!!! I'm so excited!! :) Tears of joy are streaming down my face.. I hope you continue with Mirabella's story. I would love to read it and see her photos. :) Willow is keeping a watch over you! More tears! But tears of happiness! She is beautiful and I love her name! Ah, what is "too soon"? There is no magic number. Only different stories and different time frames for each one. Luckily you have Martha to help you with.a young horse because it is different and so important for everyone's safety to understand that. How wonderful! And what a beautiful little filly! <3 So happy to hear about this new development. Thanks for sharing. Please DO continue Mirabella's story now, I was hooked on Willow's story and am always looking to see if you have any new updates . Thank you so much for sharing! This is the most wonderful news Shana! I am thrilled that God sent you this baby! I can't stop smiling. when one door closes, another opens. So happy for you! What an awesome chapter to this story. Best of luck to you all!